This is a great book. Against the background of the dogmatism of much of modern economics, Fullbrook has produced an innovative, wide-ranging argument for narrative pluralism. The timely book is beautifully written, accessible to all, provocative, extraordinarily insightful, and extremely compelling. This fascinating and profound work should be read … by anyone who is taken in by mainstream economics’ false claims of scientific objectivity. 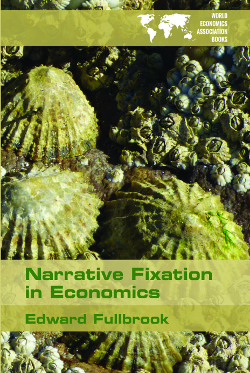 Fullbrook’s erudite, systematic and thoughtful investigation into the philosophical and conceptual bases of the “singular narrative” exposes the limitations of neoclassical economics and its degenerate practice, and provides a powerful critique of different models of economic rationality. For anyone interested in the state of modern (mainstream) economics, and especially in how and why the neoclassical school has remained so dominant since the Crash of 2008, Fullbrook’s book is a must-read. It goes far beyond other treatments in the way that it compares (unfavourably) the prevailing “mono-epistemology” in economics with the norms of epistemological pluralism in the natural sciences. This genuinely original book… scrutinizes the weird make-believe world of mainstream economics and its narrative dogmatism, determinism and atomism, it constitutes a powerful plaidoyer for real pluralism in economics. Fullbrook brings bold new perspectives on the logic of economic choice, rationality, ideology, naturalism, and microfoundations. Whether you agree with him or not, he forces you to think. This book is provocative and highly convincing. It shows us that there is no such thing as a one and unique truth, neither in natural sciences, nor in social sciences. Because reality is multifaceted, narrative pluralism is essential for the advancement of knowledge and for the good health of a democratic society. Fullbrook changes our understanding of what is science and what is ideology. Edward Fullbrook’s Narrative Fixation in Economics is an exceptionally erudite exploration of the descent of economics into scientism and anti-knowledge.